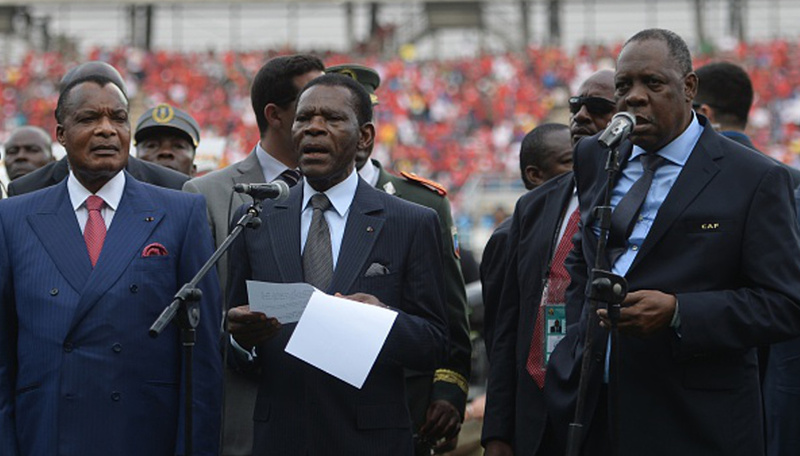 Equatorial Guinea’s President Teodoro Obiang Nguema Mbasogo (C), CAF president Issa Hayatou (R) and Congolese President Denis Sassou-Nguesso (L) ahead of the opening match btw Equatorial Guinea and Congo at Bata Stadium. 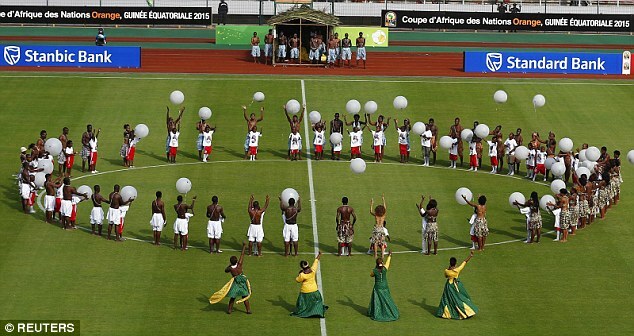 Africa’s main elite football tournament, the African cups of nations, officially CAN (Coupe d’Afrique des Nations), also referred to as AFCON, was first held in 1957, with only three teams participating – Egypt, Sudan and Ethiopia. 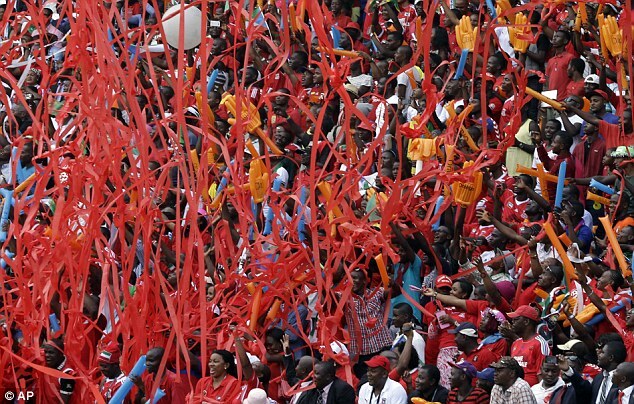 CAN’s sanctioning body is the Confederation of African Football (CAF). Since 1968, the competition takes place every 2 years. The number of participating countries in the final tournament is 16, after having gone through a qualifying stage. 14 Nations have won the tournament since its creation, with Egypt having the most wins, a record 7 championship titles. 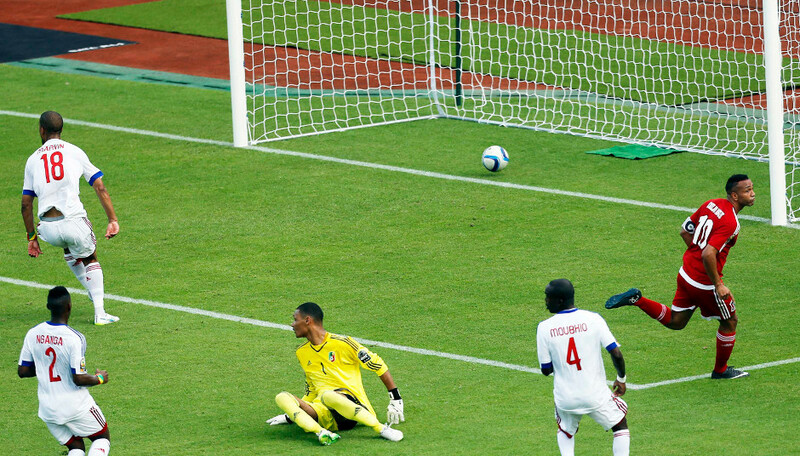 Ghana and Cameroon have won 4 titles each, Nigeria 3 and the DR Congo 2. 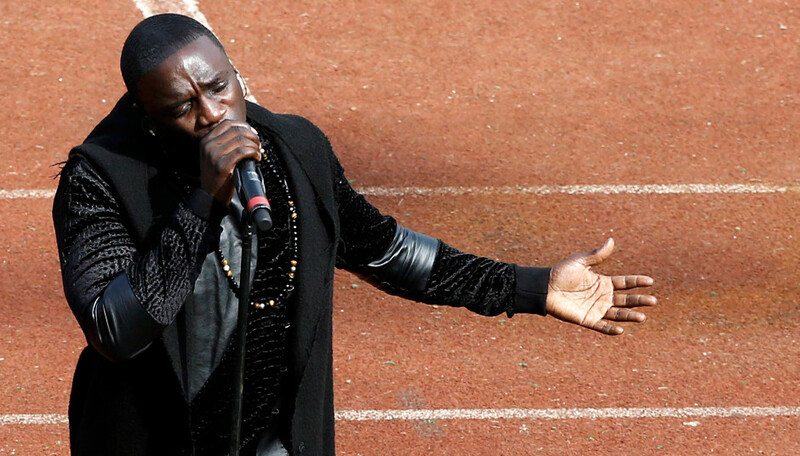 Single title holders are Ivory Coast, Tunisia, Congo, Zambia, Algeria, Sudan, South Africa, Morocco and Zambia. There have been 3 different trophies awarded to the winners throughout the competition. The Abdelaziz Abdallah Salem Trophy, named after the first CAF president, Egyptian Abdelaziz Abdallah Salem, was handed permanently to Ghana in 1978 as the first 3 times winner of the tournament. The second trophy, the Trophy of African Unity or African Unity Cup, was handed permanently to Cameroon after they became 3 times champions in 2000. In 2001, a new gold-plated trophy was revealed. Cameroon was the first nation to be awarded this trophy after they won in 2002. Unlike previous winners who took the trophy home permanently, Egypt was presented with a special full size replica after winning three consecutive titles with their 2010 win. Group C and D will be playing on the 19th and 20th respectively. 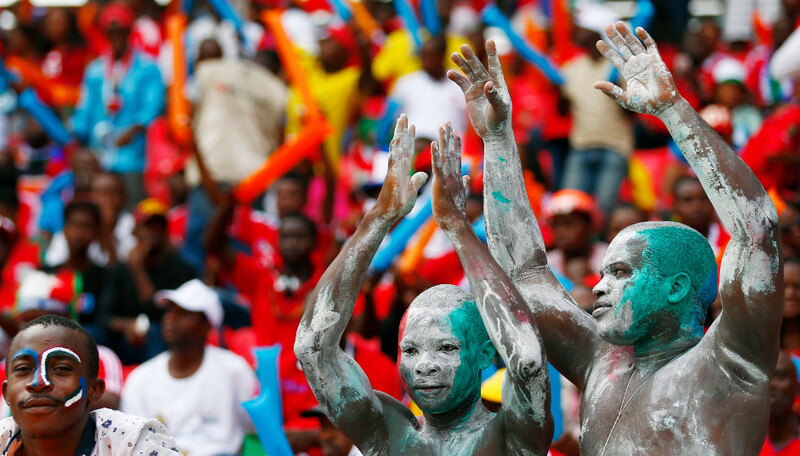 Equatorial Guinea fans enjoying the festivities at Bata Stadium during the opening ceremony. Keep coming for a daily summary of all the matches. 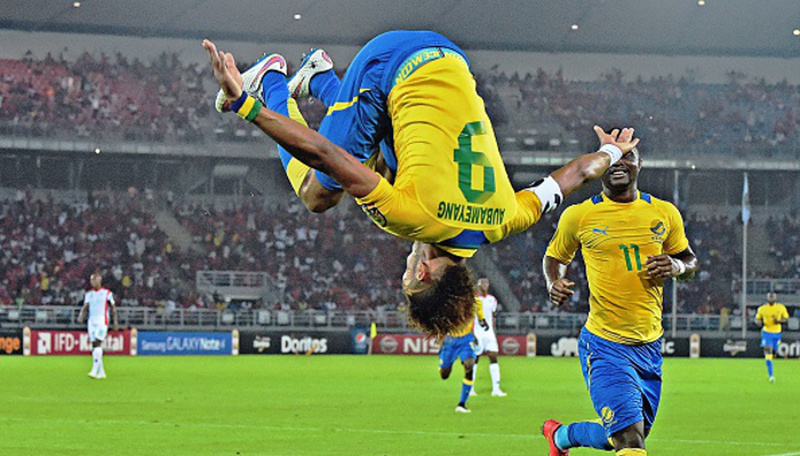 Posted on January 18, 2015, in Sports and tagged Afcon, CAF, Football, Soccer. Bookmark the permalink. 3 Comments. Brilliant historical perspective on the African cup of Nations. Kodus my dear friend. 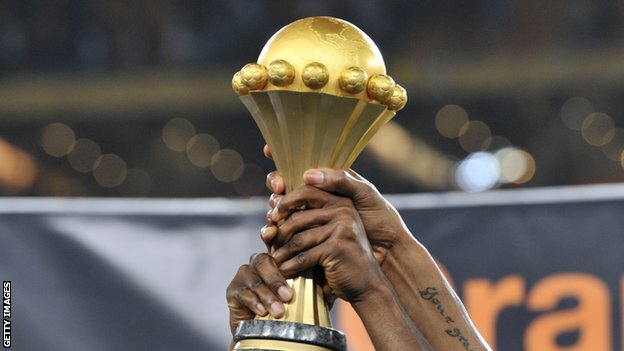 So who do you think will win this years edition of the AFCON? It is worth mentioning that despite being winner of the last edition of the AFCON, Nigeria failed to qualify for this year’s edition. Very good point Terence. I had that in mind actually, but it slipped the mind while writing. Thank you for your very smart observance. This content is very interesting but I see that you are not using the full monetizing potential of your site.